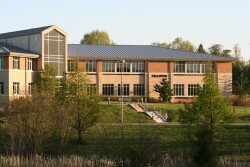 Harford Community College, founded in 1957, offers high quality educational experiences for the community and promotes lifelong learning, workforce development and social and cultural enrichment. Cultural arts programs are offered at the Amoss Center, Chesapeake Theater, and APGFCU Arena. Dead Man’s Cell Phone by Sarah Ruhl. Presented by the Actors Guild Produced by Special Arrangement with Samuel French, Inc.
Help fight heroin addiction and homelessness in Harford County by joining County Executive Barry Glassman and Harford United Charities on Preakness Saturday, May 18 for the sixth annual BG5K Run/Walk for Recovery. The race begins at 8:00 a.m. at the Susquehanna Center on the beautiful campus of Harford Community College. Afterwards, enjoy a free hot breakfast as we award prizes and medals to top participants. Sponsorships are available and all proceeds will benefit homelessness and healing in our community through donations to Harford Family House, Mason-Dixon Community Services, Homecoming Project and Addiction Connections Resource. Register today!